3. I will, emergencies excepted, give the tenant reasonable notice (at least 24 hours and in writing, stating reasons) when access to the property is required by the landlord, contractor or agent. 4. I will provide tenants with a written statement of the terms of their occupancy (a tenancy agreement), together with a current inventory, a contact telephone number or other means of contacting the landlord or their agent in an emergency, and details of what conditions as attached to the deposit or bond. 5. For agents, I will provide a written statement of terms and conditions to landlords detailing all the rights, responsibilities and liabilities of the agency agreement. 9. Subject to any statute and/or separate agreements and unless I have good legal cause, I will return promptly at the end of the tenancy, any deposit paid by the tenant, which is held by me or on my behalf. If required, a written statement accounting for and explaining any deductions will be provided. The tenant will also be told of the steps they can take if they are not satisfied that the deductions are fair and reasonable. 10. will not refuse a tenant a reference for the purposes of securing a new tenancy, without good cause. 11. I understand that to become and remain accredited by the NLCE I must be contactable in some way – e.g. email, text/phone or direct mail. 11. I will take all reasonable steps to ensure all accommodation I provide will not fall below the current minimum legal standards for habitation. That is it is in a reasonable state of repair, has adequate fire safety and amenities and meets basic standards of management. a. Agents who are not responsible for property standards will inform the landlord in writing of any areas requiring attention, or other statutory requirement, and will notify the local authority if the landlord fails to rectify. However in the case of a serious risk to anyone’s health or safety, I will, when made aware by any occupier, also advise them to notify the local authority. In the event of the occupier being unable to do this I will report the matter on their behalf. b. Landlords, or managing agents, will prepare an improvement plan if the property does not meet the current minimum standards. The improvement plan will set out how, and within what period, improvement will take place. Any local authority having reason to inspect such a property, whilst fulfilling their statutory functions, may request this plan. 12. All disrepair or defects in the property for which I am responsible will be attended to promptly with minimum disturbance to the tenant. 16. I will take steps to maintain and improve my knowledge of current relevant legislation and good practice. 17. For agents only, I shall provide all landlords with information about the NLCE and urge them to apply to join the scheme. 18. I will not act in such a manner that brings the National Landlords Certificate of Excellence Accreditation Scheme into disrepute. 19. I understand that the NLCE adhere to the EU GDPR (General Data Protection Regulation 2018), but to become and remain accredited by the NLCE I must be contactable by at least one of these options: Email, Text Message/Phone and/or Direct Mail. 20. I understand that I must provide the address information of the buy to let properties that I own or manage, as this will enable North Somerset Council to strike those properties off their proactive inspection list. (c) contravention of any provision of the law relating to housing or of landlord and tenant law; (including any civil proceedings that you have lost). (g) been in control of any property, which has been the subject of an interim or final management order or a special interim management order under the Housing Act 2004. We may use the information that you provide to check with other teams and external organisations in order to prevent and detect potential fraud. 1. This declaration must be agreed personally by the applicant and NOT by their representative/agent. 2. Anyone knowingly making a false statement will be disqualified from membership. 3. If any of the issues detailed, under the fit and proper person declaration, cannot be satisfied, please return this form and provide brief information about any relevant issues. We will contact you to discuss your application. The existence of such an issue may not prevent you becoming accredited. 4. NLCE reserve the right to withhold membership of the scheme if, having processed the Application Form, there is found to be a discrepancy or if the applicant is unable to sign the Fit and Proper Person declaration or Code of Conduct. This also applies if the Application Form was not submitted before the applicant paid for and attended the Foundation Seminar and no refund will be made. 3. Inform you about any changes to the scheme or any additional development courses, services or events provided by the scheme, or its partners. 4. Inform you about any services, any schemes, events etc. provided by the Partnership. 5. Carry out marketing, analysis and reviews on the operation of the scheme. 6. To seek your views on issues relevant to private landlords. 7. Provide update information and changes for the reference manual and provide relevant information about changes to statue or case law. 6. It is anticipated that there will be financial opportunities and other incentives for accredited landlords. These external companies (eg insurance companies, financial advisors, utility companies, builders’ merchants, etc), will be required to support the aims of the NLCE and will provide benefits for accredited landlords. 1. When determining whether an applicant is a fit and proper person and his/her ability to manage the property, we will need information about any problems that have arisen in the past. Relevant convictions do not automatically mean that you cannot be deemed fit and proper but should be declared. These may be considered alongside matters such as whether you have undertaken training or other accreditation schemes or have a record of engagement with initiatives with the local authority to improve the sector. (g) been in control of any property which has been the subject of an interim or final management order or a special interim management order under the Housing Act 2004. You should also reveal whether any person associated or formerly associated with you (whether on a personal, work or other basis) has done any of the things set out above, where this is relevant to the question of whether you are a fit and proper person to be involved in the management of rented residential property. (This information is specified in the Housing Bill as a matter which may be taken into account where relevant). Please Note: This clause requires a partnership business or limited company applicant to declare whether any other Director, Partner or employee has done any of the things listed above, if that person has a direct influence on the residential letting operation. The aim of this code is to provide a general framework of standards expected of landlords accredited under the scheme in connection with the letting of their residential properties. There will be an over-arching requirement for the landlord to be a ‘fit and proper person’ as defined by current national legislation. The Code applies equally to relevant Directors, Partners and/or employees of Companies that are accredited under this scheme, and the term ‘landlord’ should be construed accordingly. The code is intended to be non-specific and yet comprehensive in its scope, covering all the main issues that will be expected of an important and influential initiative such as National Landlords Code of Excellence Scheme. The code merely requires that you comply with the laws relating to residential property letting or, if extensive repairs or improvements are required to bring the property up to standard, that you take active steps to carry out those works within a reasonable timescale. The code accepts that it will not in every case be possible to bring a substandard portfolio up to standard immediately, but NLCE does require that repairs or improvements are carried out as soon as practicable. You may think that a reciprocal set of requirements is needed for tenants. It is the intention in the medium to long term for NLCE to start to address this issue, again in a positive and inclusive manner. Similarly, there is an intention to tackle the problems landlords occasionally encounter with letting agents/managers by adapting the scheme to include such businesses. Clause 11 – the requirement for an ‘improvement plan’ is not intended to be an onerous duty, but does require you to consider your portfolio and, if necessary, produce a plan of how you will address any breaches of the law which require attention. 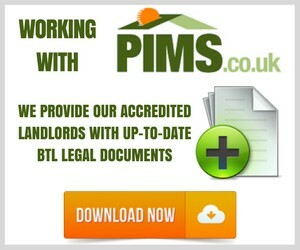 If the property of an accredited landlord comes to the attention of a local authority following a routine or reactive inspection of a dwelling and is found to be sub-standard, the improvement plan would be a very good indication of the landlord’s intentions in respect of that property and could assist positively in negotiations surrounding remedies and time frames for improvement. Clause 15 – you will not be required to disclose your portfolio as a pre-requisite to joining the scheme, unless of course you wish to do so. However, to protect the reputation of the scheme, there will be a requirement to notify (in writing) the relevant local authority of the address of any property which is to be advertised as being under the control of an accredited landlord. This does not mean that the property would be visited by that local authority; it merely gives them the option to do so. This Code of Conduct is based on and adaptation from that of the NFRL & National Landlords Association, the Midland Landlord Accreditation Scheme and London Landlord Accreditation Scheme. National Landlords Code of Excellence has worked closely with other organisations throughout the various stages of the scheme’s development.